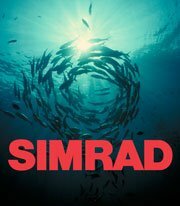 Professional, Full Time Fishing Guide. He has over 40 years experience fishing the San Antonio Area Lakes. 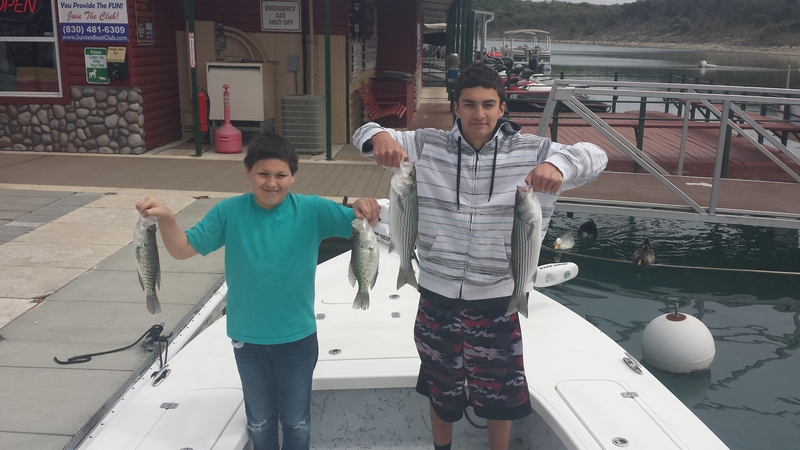 He Charters at Canyon Lake, Calaveras Lake and Braunig Lake. He also Charters Fishing Trips to the Texas Coast at Port O' Connor, Texas. Canyon Lake, Texas is Located About 45 Minutes North of San Antonio, Texas. Port O' Connor, Texas is located about 30 minutes south of Victoria, Texas on the Central Coast. 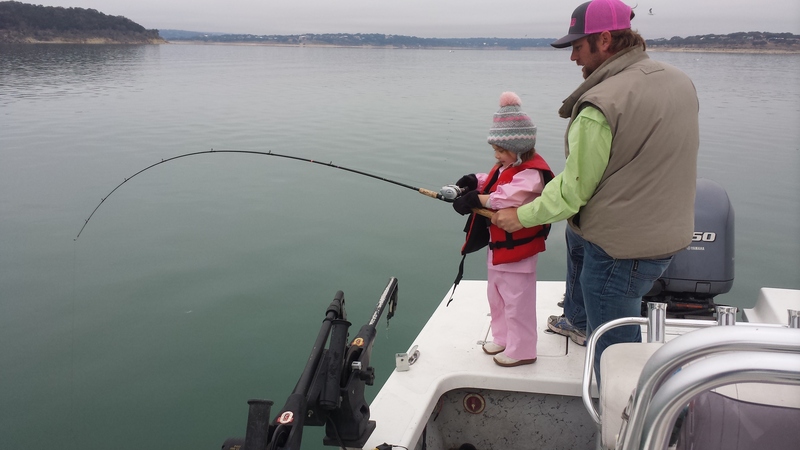 Our Fishing Trips Include All Tackle, Rod and Reels, Bait and Ice. When fishing with Capt. Steve all you need to bring is your Texas Fishing License, some drinks, snacks and a cooler for your fish. We can take up to 10 anglers fishing and also welcome corporate-multi boat fishing trips. San Antonio's Premier Fishing Guide Service for Canyon Lake Fishing, Calaveras Lake Fishing, Braunig Lake Fishing and Port O' Connor Fishing. Capt. 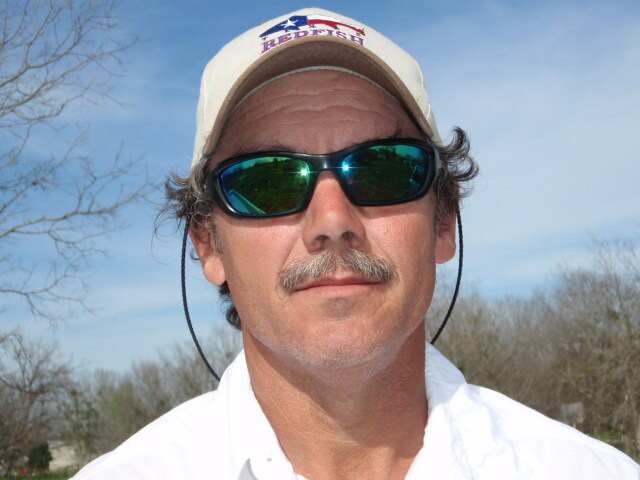 Steve Nixon is a Licensed, Professional, Full Time San Antonio Fishing Guide. He has over 40 years experience fishing the San Antonio Area Lakes. He is a Canyon Lake Fishing Guide, Calaveras Lake Fishing Guide, Braunig Lake Fishing Guide and Charters out of Port O' Connor, Texas. 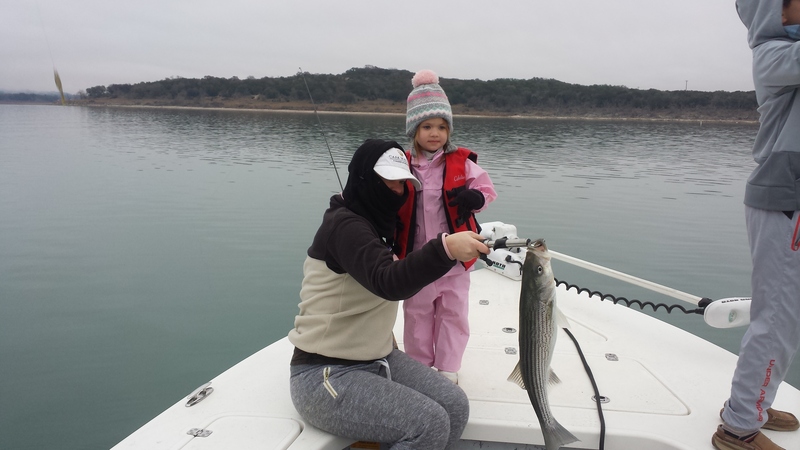 Canyon Lake, Texas 1/06/2018 First Striped Bass! Have you ever been Fishing at a Highland Reservoir ? 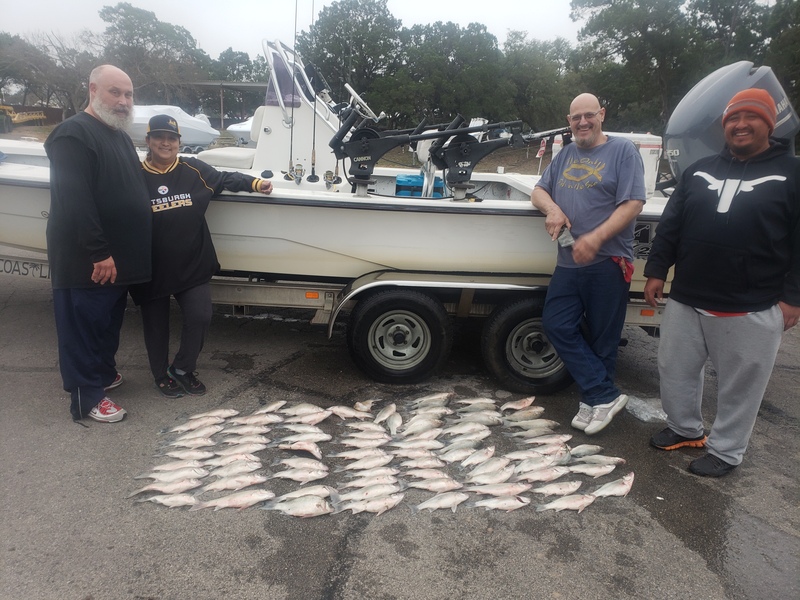 Well whether you have or have not this one is located north of San Antonio, Texas in the Beautiful Texas Hill Country with very deep clear green colored water and breathtaking views, on Canyon Lake Steve will guide you to catch Striped Bass, White Bass, Largemouth Bass and Crappie. is Located About 45 Minutes North of San Antonio, Texas and Only 15 Minutes From New Braunfels, Texas. Canyon Lake is in the beautiful Texas Hill Country. Canyon Lake is the Water Recreation Capital of Texas!!! 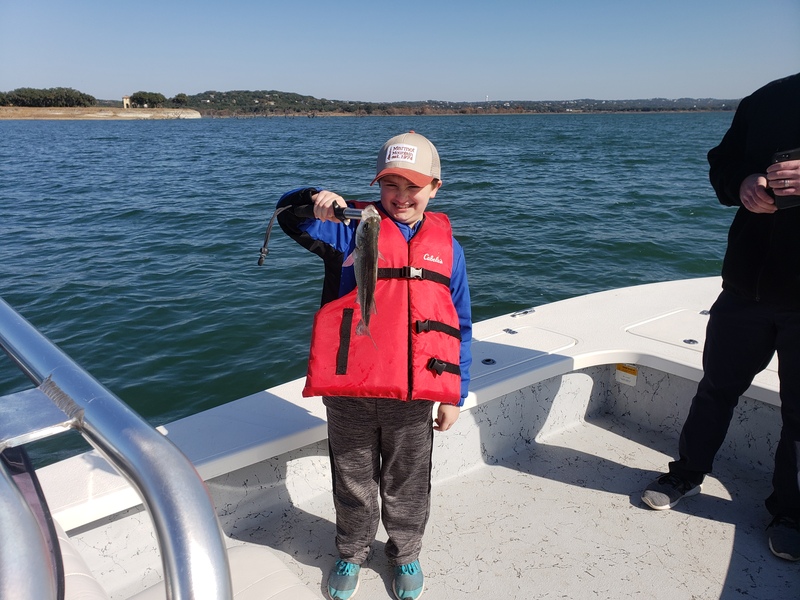 Canyon Lake has beautiful clear water, steep rocky shore lines and Canyon Lake has Striped Bass, Black Bass, White Bass and Catfish to fish for. The Catfish from Canyon Lake taste incredible because of the clear water typical of a highland reservoir. Capt. Steve Nixon also offers Scenic Cruises on Canyon Lake. Steve is now meeting his customers for Canyon Lake Guided Fishing Trips at Canyon Lake Marina located at 280 Marina Drive,Canyon Lake, Texas, 78133. Ship Store stocked full of name brand bathing suits and flip flops sun block and towels, sunglasses, snacks, drinks, beer and wine. Ice,coolers and boating accessories. Baja BBQ Shack is located at Canyon Lake Marina. 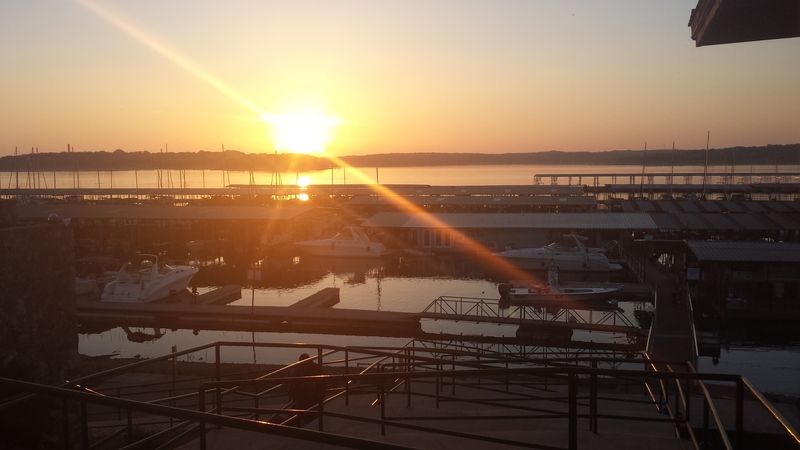 It is within walking distance of the marina and includes an air-conditioned indoor seating area and an outdoor patio with panoramic views of the lake. 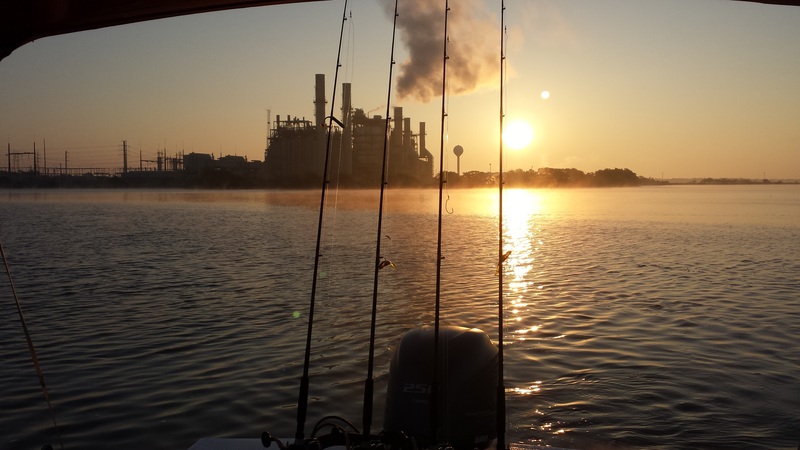 are located south of San Antonio, Texas and are Power Plant Lakes, at Calaveras and Braunig Lakes Steve Will guide you to catch Hybird Striped Bass, Catfish and Freshwater Redfish, did you say Freshwater Red's?... yep! they fight like a crazed devil dog and eat good too! Calaveras and Braunig Lakes Are World - Class For Freshwater Redfish Fishing! ...Freshwater Reds? Yep… How can you beat a fish that can reach 40 pounds, fights like a crazed devil dog and tastes incredible? Captain Steve Nixon can put you on some Big Redfish, Stripers and Catfish on the San Antonio Area Lakes, Calaveras Lake, Canyon Lake and Braunig Lake! (P.O.C. for short) is a small fishing village on the Texas Coast a little more than half-way between Houston and Corpus Christi. It is often known as the "Best Kept Secret on the Gulf Coast" Port O’Connor is now known world-wide for fishing, hunting, birding, kayaking and the peaceful lifestyle enjoyed by those who have discovered the jewel of the Secret Coast. At POC Capt. 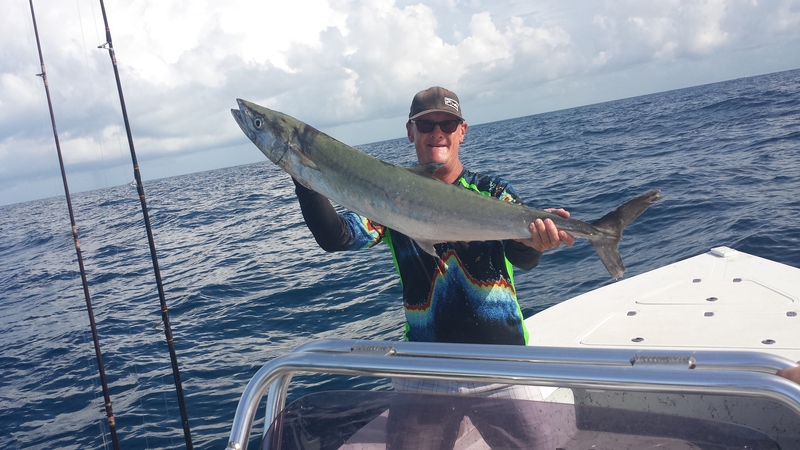 Steve will take you fishing for Huge Bull Redfish, Sharks, Jack Crevalle and Tarpon on Inshore Trips and Offshore for Kingfish, Cobia, Spanish Macs and Snapper. How was your last Guided Fishing Trip? 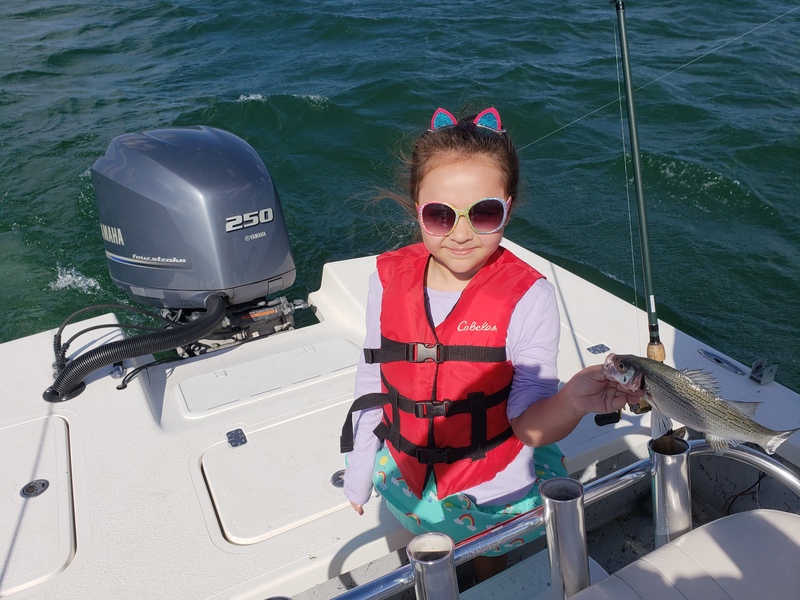 Whether you’re a beginner or seasoned angler, as one of San Antonio,Texas premier Fishing Guides, Captain Steve Nixon uses all of his knowledge, skill and expertise to provide you with the opportunity of a lifetime. 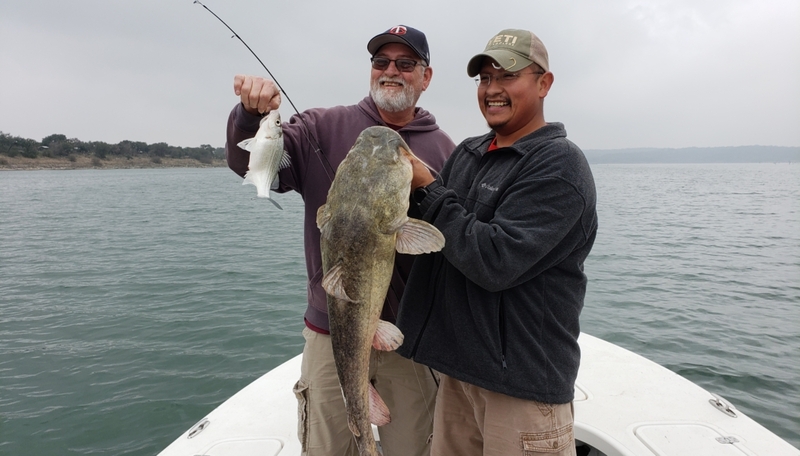 Steve gives anglers the chance to experience some of the most spectacular and exciting world class fishing found anywhere and if you are traveling a long distance, you might want to schedule more than one-day at Canyon Lake, Calaveras Lake or Braunig Lake. So, prepare yourself for the Calaveras Lake, Canyon Lake or Braunig Lake guided fishing adventure of a lifetime! Using cutting-edge technology from Simrad Marine Electronics, a top-of-the-line fishing boat from Majek Custom Fishing Boats and fishing equipment from FALCON RODS, OKUMA FISHING TACKLE, YETI COOLERS and BASS ASSASSIN LURES along with decades of experience and knowledge you’ll get the opportunity to experience fishing adventures and memories lasting a lifetime. Call Capt. Steve at 210-573-1230 and book your trip today! 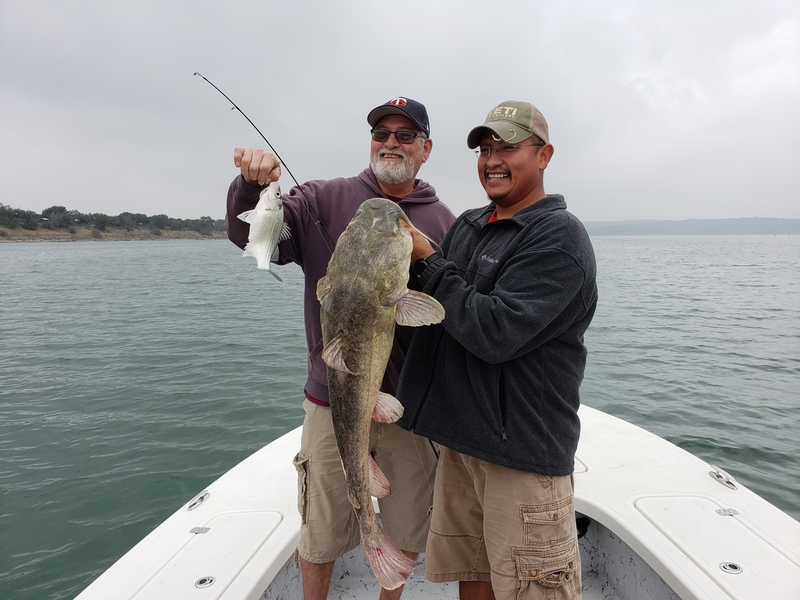 If Steve is unavailable for the day you wish to fish he will assist in finding a qualified San Antonio Fishing Guide to be of service on Canyon Lake, Calaveras Lake or Braunig Lake. We have the advantage of enlisting the top fishing guides with the proper equipment and attitudes to ensure a positive and successful day. 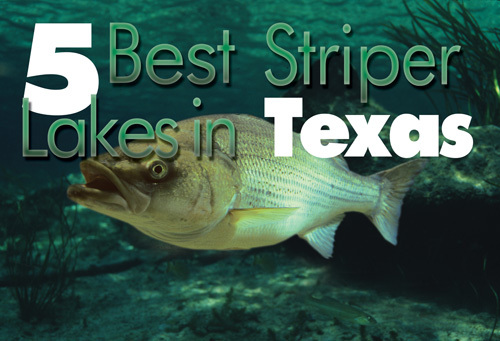 Texas Fish & Game Magazineranked Canyon Lake in the top 5 Striped Bass Lakes in Texas (see the November Inland Edition).Racks and Reels Magazinejust come out with a article on winter fishing at Canyon Lake. Both articles feartured Capt. Steve Nixon. 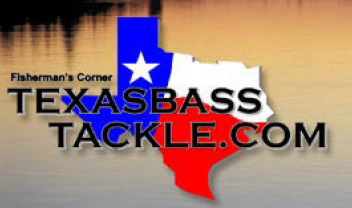 I will be fishing Canyon Lake this month and the Striped Bass and White Bass are biting! Come and join me! I still have plenty of space left to book. I accept all major credit cards or cash any time. Tight lines and Fish-On!!! GIFT CERTIFICATES are perfect for holidays, special occasions or that important corporate account. What better way to surprise your family and friends than by giving an angling adventure with San Antonio Fishing Guides. 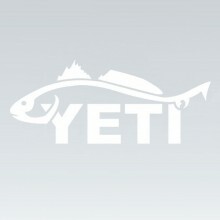 One of San Antonio, Texas's Top Fishing Guides. Fishing at Canyon Lake is Excellent. 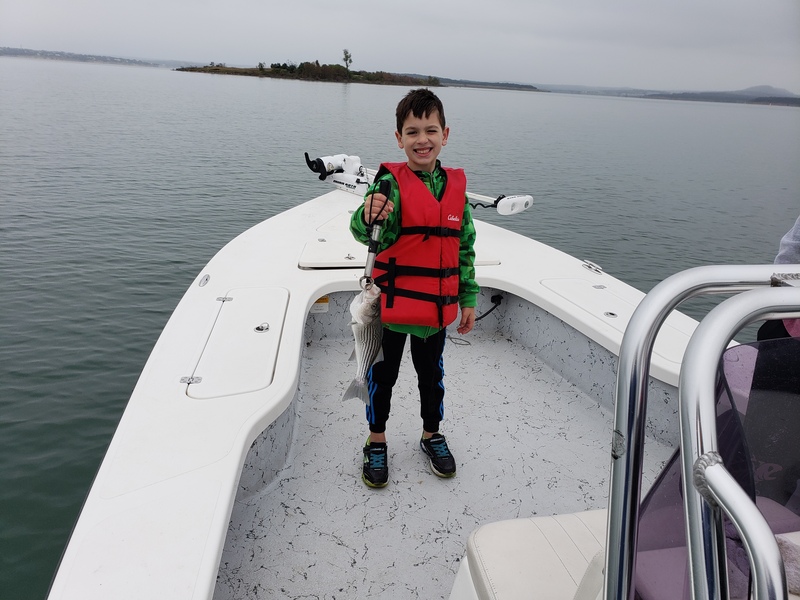 The White Bass are schooled up for the Spawn and we are catching mixed bags of White Bass, Striped Bass and Largemouth Bass . For those of you who have never done this it’s some of the best fishing and sightseeing in all of Texas. Come and join me I still have plenty of space left to book. I can accept all major credit cards or cash at the lake. Tight lines and Fish-On!!! The Redfish fishing is very slow at Calaveras Lake right now, The Blue Cat fishing is good, we are not catching big numbers but quality fish most weighing over 4 pounds and some Brutes are being caught in the 10-25 pound range. STOP WISHING LETS GO FISHING! Just wanted to let you know we cooked up a bunch of the catfish you helped us catch and it was outstanding! And, we have fish frozen to enjoy over the next many weeks to come. We certainly had a fantastic time, and I appreciate the great fishing! Let’s not wait so long before we schedule it again! 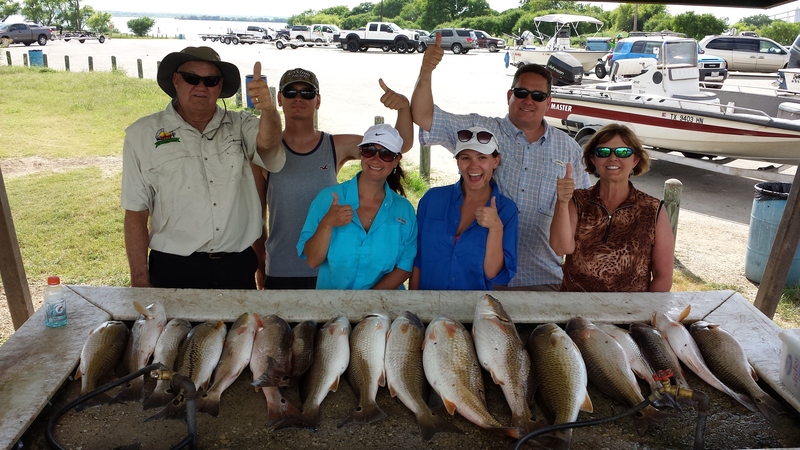 CALL 210-573-1230 Cell AND RESERVE YOUR FISHING ADVENTURE TODAY!